Please note that there is a separate North Carolina Business and Law exam that needs to be passed to get this license. The Business Law exam is taken at the same time as the trade exam and the price for the Business Law exam is included in the trade exam fee. Applicants are required to have at least 4,000 hours (2 years) of on site full time experience in the design or installation of plumbing or heating systems related to the category for which license is sought, even if no license was required for the work performed. I>Up to one half or 2,000 hours (45 quarter hours or 30 semester hours) of the experience requirement/I> may be in academic or technical training directly related to the category for which the exam is requested. There are no State mandated minimum financial, bonding, or insurance requirements for this license at this time. The Heating Group 2 classification covers air conditioning systems that consist of interacting components producing conditioned air for comfort cooling by lowering the temperature, having a mechanical refrigeration capacity in excess of 15 tons, and circulating the air. Systems installed in single family residences are included under Heating Group 3, regardless of size. The references listed below are necessary to prepare for the examination and will NOT be provided at the testing center. As of 08/01/17 Candidates must provide their own reference materials. Reference materials must be hardback or soft-cover (no loose-leaf). References can be highlighted but may only be tabbed with tabs manufactured or provided by the publisher. The book for the Business and Law portion of the exam can only be obtained by directly contacting the State Licensing Board. The references listed below are available for purchase from our online contractor’s bookstore or by calling our office at 1-800-992-1910. North Carolina General Statutes Chapter 87, Article 2, 21 North Carolina Administrative Code Chapter 50. 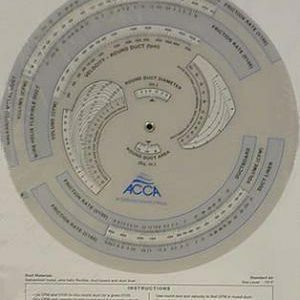 NOTE: Though not on the book list, the ACCA Duct Slide Rule will be provided for use at the exam. It would be beneficial to know how to use it before testing. Instruction on using the ACCA Duct Slide Rule is covered in our seminar. 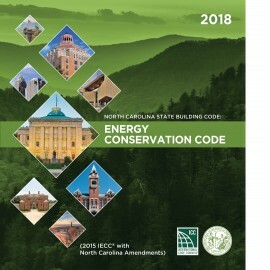 To apply, contact North Carolina State Board of Examiners for Plumbing, Heating, and Fire Sprinkler contractors at 1-919-875-3612. The fee for the application is $25 and the licensing fee for initial license and for renewal is $125. Applications will be processed in 2 to 4 weeks from the time they are received. All licenses expire on the last day of December in each year following their issuance or renewal. North Carolina does not have reciprocity for this license. North Carolina requires 6 hours of approved continuing education every year as a condition of license renewal. Continuing education hours must be completed prior to your license expiration each year. 4 hours of continuing education must be on the current code related to your license and 2 hours must be on a subject related to heating. The fee for the exam is $100 ($25 application fee and $75 for the exam). The Heating Group 2 exam has 90 questions with a time limit of 4 hours. The Business Law exam has 50 questions with a 1.5 hour time limit. As of August 1, 2017 Candidates shall be required to bring all of their own books and materials to the exam. 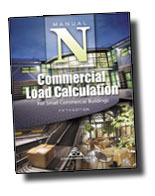 The exam is designed to test the applicant’s knowledge concerning the analysis of plans and specifications, estimating costs, fundamentals of installation and design, codes, fire hazards, and related subjects as they pertain to heating. An applicant has 30 days to take the exam once approval has been given. To schedule your exam after approval, you must contact PSI at 1-800-733-9267. American Contractors currently does not offer a preparation seminar for the North Carolina Heating Classifications at this time. We do carry all the HVAC, Plumbing, Fire Sprinkler and Fuel Piping books needed. Please contact us for additional information, 1-800-992-1910. Arizona Dual A/C Refrigeration & Htg.